North India is home to some of the most amazing and exotic travel destinations in India and holds a prominent place in the tourism industry of India. When it comes to choosing a honeymoon destination in North India, you will not run out of options as there are a number of perfect honeymoon destinations that can provide an everlasting memory for everyone. The romantic destinations of North India have gained sufficient prominence as the major travel attractions in India and it is quite evident from the number of traveler visiting these destinations annually. The honeymoon vacations spots in North India are very much suitable for newly-wed couples, aged couples and young travelers. Even if you are visiting these destinations alone, you will never feel bored and will always get mesmerized at the amazing beauty and atmosphere that prevails at these exotic travel locations. Unlike other travel destinations in north India, these places tend to be calm, romantic, and possess great environment to stay and enjoy the beauty of nature. If you gather the list of major honeymoon destinations across north India, it will fetch you a huge list and you might need a huge blog post to project them all. Based on various sources, I would like to pick up 5 of the best honeymoon destinations in north India that are located at different locations. This is just my personal opinion and these places need not be the top 5 romantic travel destinations in that order. But still these places are worth visiting as an important vacation family destination. So below goes my best 5 honeymoon destinations in North India. Located near the end of Kullu Valley, Manali is a superb and beautiful hill station that serves as a perfect holiday destination for people of all ages. The Manali hill station is in the state of Himachal Pradesh in north India and is one of the major tourist destination for a long time. Manali boasts of a cool climate throughout the year and in the winter you can see snowfalls which makes this hill station more beautiful. Rohtang Pass, Beas Kund, Hadimba Temple, Kalath Hot Water Springs, Jogini Falls, Solang Valley and the Manali Gompa are some of the major places worth visiting in Manali. Shimla is yet another major hill station in Himachal Pradesh and is one of the major tour destinations in North India. Shimla is the first name when it comes to honeymoon tourism in north India and such is the image that this place has created in the minds of travelers. 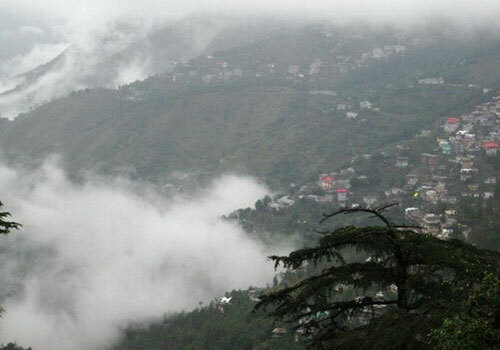 As with Manali, Shimla also experiences a cool climate throughout the year with snowfalls during the winter seasons. The cool and chilly climate makes it a favorite honeymoon destination in north India. There are a lot of places worth visiting in Shimla and they inlcude Jakhu Temple, Chadwick Falls, Dorje Drag Monastery, the Ridge, Christ Church, Lower Bazaar, Shimla Water Catchment Sanctuary and Hip Hip Hurray Amusement Park. Nainital is also a well known hill station in the north Indian state of Uttarakand and is located in a valley which has a lake with the shape of a pear. 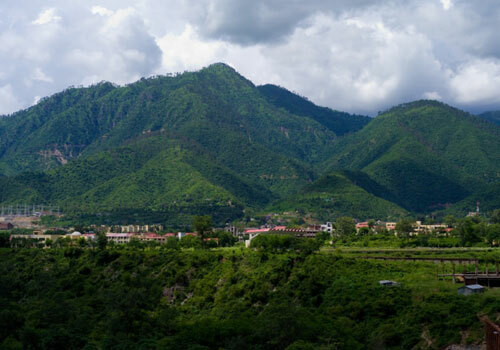 The Nainital valley is surrounded by mountains and if you get over the top of the mountains, you will be able to able to cherish the amazing views of the plains, ridges and the snowy Himalayas. Nainital has been a major tourist destination in North India since a long time and is well known for its amazing natural beauty and cool climate throughout the year. There are a lot of things to view and explore in Nainital such as Snow View, Nanda Devi Temple, Tiffin Top, St. John in the Wilderness, Guano Hills, Naina Lake and Sariyatal. 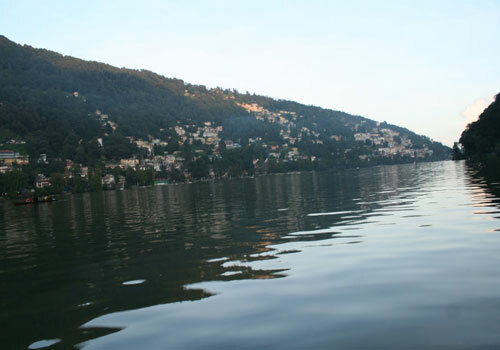 You can also get involved in travel and adventure activities such as boating, shopping, and trekking and golfing, once you arrive at Nainital. Srinagar is a beautiful travel destination in north India and is located in the Jammu and Kashmir state of India. Known for its pristine beauty, lakes and cool climatic conditions, this place is considered as an ideal summer vacation destination in north India. Srinagar experiences a cool climate throughout the year and hence makes it a favorite holiday destination for travelers from across the world. A cruise of the houseboats along the Dal lake, trekking along the mountains, shopping at the popular traditional centers and enjoying the local food at the restaurants are something worth trying while in Srinagar. Some of the major places to visit in Srinagar include the Mughal Gardens, Shalimar Bagh, Nishat Bagh, Hazratbal Mosque, Shankaracharya Mandir and Nehru Garden. 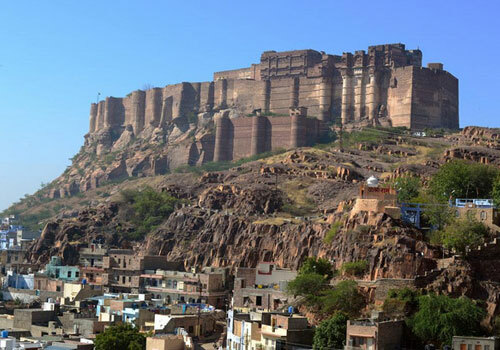 Jodhpur, which is known as the Gateway to Thar deserts is another favorite travel destination in Rajasthan. The place is also called as the “Sun City” as Jodhpur experiences a bright and hot climatic condition through most of the seasons. “Blue City” is another name given to Jodhpur as most of the houses are painted in blue shades which gives a unique feel and beauty to this place. Jodhpur has a lot of travel attractions such as forts, palaces, temples, havelis, handicraft industries etc which makes it a perfect vacation destination in north India. If you have a look at the major places to visit in Jodhpur, there will be a huge list, but the main destinations include Mehrangarh Fort, Moti Mahal, Sheesh Mahal, Chamunda Mataji Temple, Jaswant Thada, Umaid Bhawan Palace, Balsamand Lake, Baba Ramdev Temple etc. This entry was posted in North India and tagged best honeymoon spots north india, honeymoon destinations in north india, honeymoon vacations north india. Bookmark the permalink. Have you been to Rakcham valley in Himachal? If not, you should. It’s the most beautiful place I’ve been to in India! 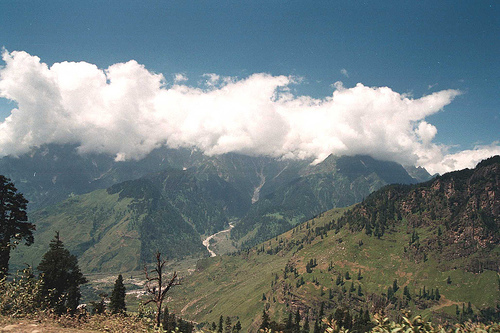 no, I haven’t been to Rakcham valley in Himachal, but have heard a lot about its beauty.